Blogmas day 16 gives you a review on my current favourite body butter! The Body Shop are known for their incredible skin care line and I totally agree. I swear by the tea tree range for my face and with that, I’ve recently picked up the most incredible body butter ever. I’ve been so hit and miss with body butter’s in the past, sometimes they’re good, other times they just leave me feeling sticky and I cant put clothes on right away. However, The Body Shop Frosted Berries Body Butter is beautiful. I don’t know whether it’s just this one or whether it’s the whole range but from what I know, it’s incredible. I do believe that this specific one is actually from the Christmas 2016 range, which is why I got it at a discounted price from £15 to £6. Which is an amazing deal since it’s a 200ml tub of heaven! I like to apply this right after I’ve had a shower and dried my skin, it just leave my skin feeling so soft, gentle and moisturised. The thing I really like is that at the end of the day, when I’m ready for bed, I still feel all those things and the scent just stays with you all day long. It’s honestly beautiful. This one has a mixture of so many berry smells but I can really smell the raspberry scent which is probably why I love it so much. Since wearing this I’ve had so many compliments on what I smell like, which I personally think there is nothing better than someone telling me I smell good! If you’re able too, I’d go and take a look at the selection that your local Body Shop has and test one out for yourself! It’s incredible and I highly recommend. 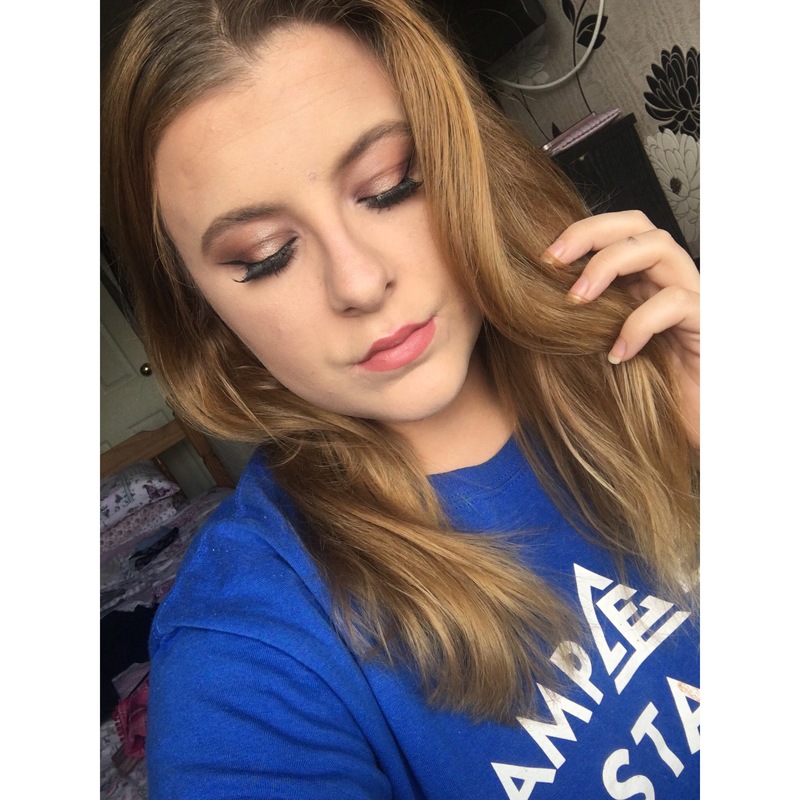 I’ve recently been testing out the Rimmel Match Perfection foundation and I’ve been loving it. Many years ago during high school, I used the Rimmel Wake Me Up foundation religiously. 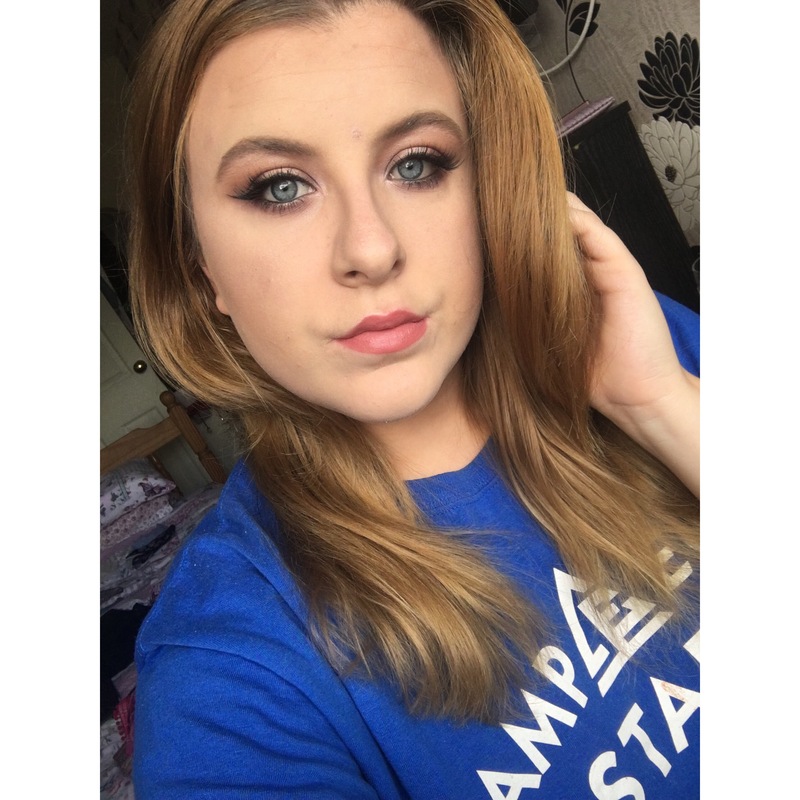 It’s all I ever used and recently I have seen so many people say how amazing the Match Perfection foundation is and I was sceptical but I thought I would test it out myself to see whether it’s worth the hype. SPOLIER: IT’S FANTASTIC. I wore this foundation for a few days before a night out to test how it wore on my skin. I first started with using the Maybelline Baby Skin primer on one side of my face and leaving the other side free of a primer. I did this so I could truly test out the wear of this product and whether it makes a difference to use a primer or not. I could definitely see a difference between either side when I used a primer and didn’t. The combination of both the primer and foundation made my skin look totally flawless and my pores were so blurred out. It was incredible. It isn’t too thick at all when it’s on the skin it’s not super dewy but it makes your skin look so healthy which I love. It’s extremely long wearing and has become my go to foundation for a night out because of this. I especially love the shade selection because it caters for so many different skin colours and I think that just makes the collection worth trying really. I’m wearing it in the photo below and I just love the finish and how other products sit on my skin once it’s applied. It’s also amazing coverage and I didn’t experience it since it is a drugstore foundation. I totally recommend this foundation and I can see me wanting to try the other complexion products from Rimmel. I purchased this Bronzer whilst in New York this summer and I’ve been committed to it every since. 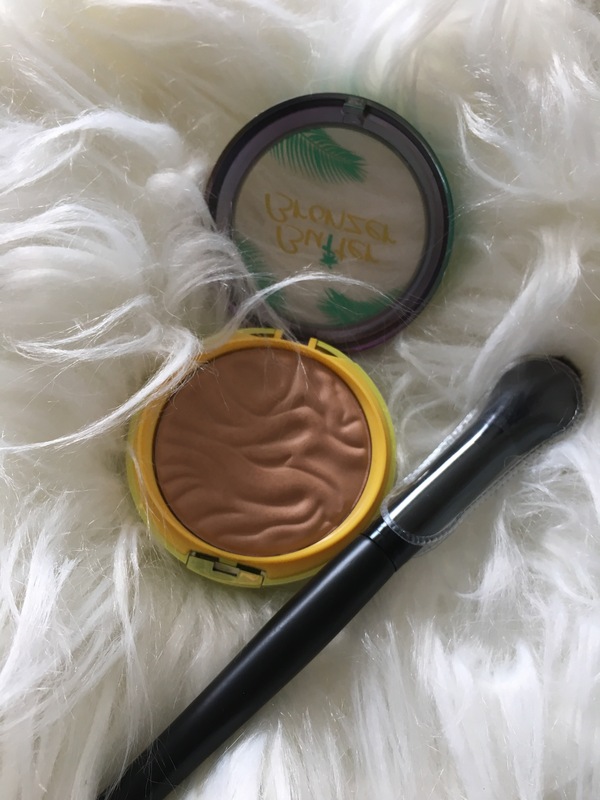 Before I went I knew that if I only purchased one item of makeup it would be this Bronzer since it’s been raved about for so long. I saw the last one that was in Target and I didn’t hesitate to grab it. I will say that it is very warm toned but don’t let that turn you off. It’s still a gorgeous shade to wear and it doesn’t make your skin look orange at all. In fact, it applies so evenly and just adds a beautiful bronzed glow to the face. The scent is incredible, it’s like summer in a compact. I’m fair skinned and this just makes my skin look so healthy and nourished. It blends so well regardless of whether you’ve powdered your foundation or not. I’ve been obsessed with this for months now and I’m hoping that Physicans Formula come to the UK so I can try more of their products.